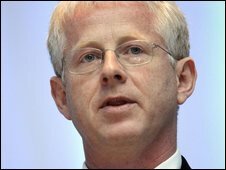 Comic Relief founder Richard Curtis says he does not expect the credit crunch to affect this year's event. Launching the campaign in London, the Blackadder writer said viewers would be moved to donate by the night's films. He added: "They'll be feeling the pinch themselves but will think to themselves, 'what would it be like to live on one pound a week?'" 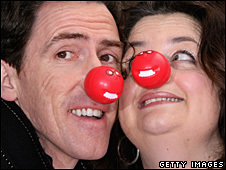 Gavin and Stacey's Rob Brydon and Ruth Jones have recorded a cover of Islands In The Stream for this year's event. The single will be available for download from 8 March, while Comic Relief night falls on 13 March. In 2007, more than £40m was raised for charities at home in the UK and abroad. Curtis insisted that people would continue dig deep and donate cash. 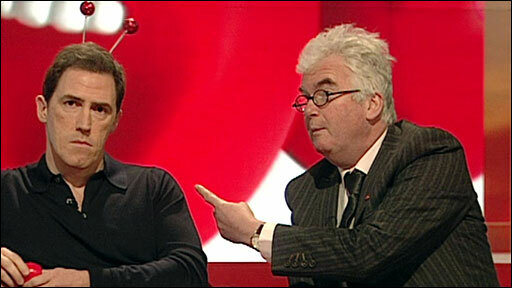 "Comic Relief never makes the most money from the richest parts of Britain," he said. "It's actually poorer places in Britain which have more compassion for people whose lives are impossibly hard. "I think that we'll do just as well." Highlights of this year's fundraiser include the return of Celebrity Apprentice, with Jonathan Ross, Jack Dee and Carol Vorderman taking part. Steve Jones and Claudia Winkleman will present Let's Dance for Comic Relief, which features celebrities recreating famous dances from television and the movies. They are keeping tight-lipped about who will appear but Jones admitted that Comic Relief veteran and stand-up comedian Jo Brand would be involved. He said: "Let me just say Jo is going to be doing the funniest thing ever committed to television. That woman is such a sport, I love her." Winkleman agreed with Curtis that people would pledge money despite the current economic climate. She said: "I think what is fantastic about the British public is just how generous they are and I think when people are having a tough time, they want to help people who are having a tougher time." Brydon and Jones, who perform the official charity single, travelled to Las Vegas for the song's video and were joined by Tom Jones and Bee Gees singer Robin Gibb - who wrote the song. Brydon, who is famous for his Tom Jones impression, said the prospect of recording alongside his musical heroes was daunting: "I was really looking forward to it because I think I can sing a bit. "But, I got really nervous when we were there because a proper recording studio is very unforgiving of your voice. It's not like singing in the bathroom, you hear every little imperfection. "Then they tart it up a bit for you." Curtis teased: "Rob Brydon is a sad figure and his enthusiasm for covering a Bee Gees song was sad to behold." What's occurring with Ruth Jones?